1. 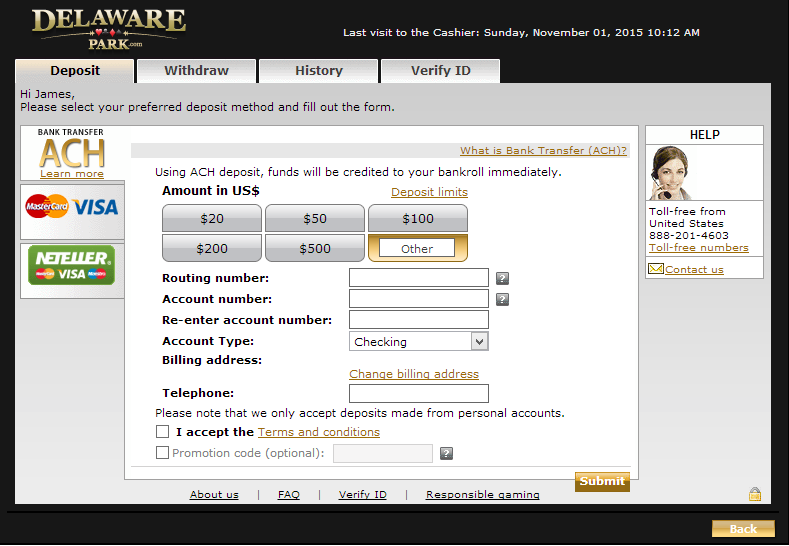 Launch your poker/casino software OR go directly to the cashier (go to Step 4). 2. Log in by entering your username and password. 3. Click on the Cashier button. 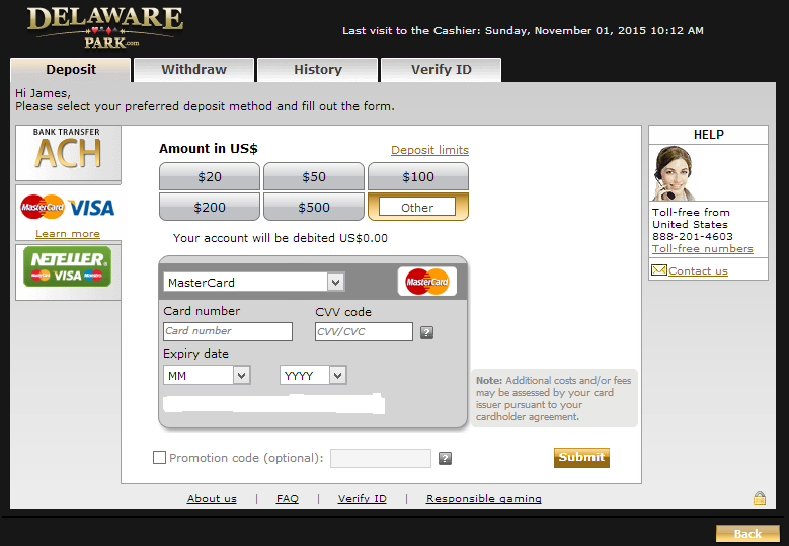 Visa and MasterCard: a fast and easy method to make direct deposits to your DelawarePark.com account. 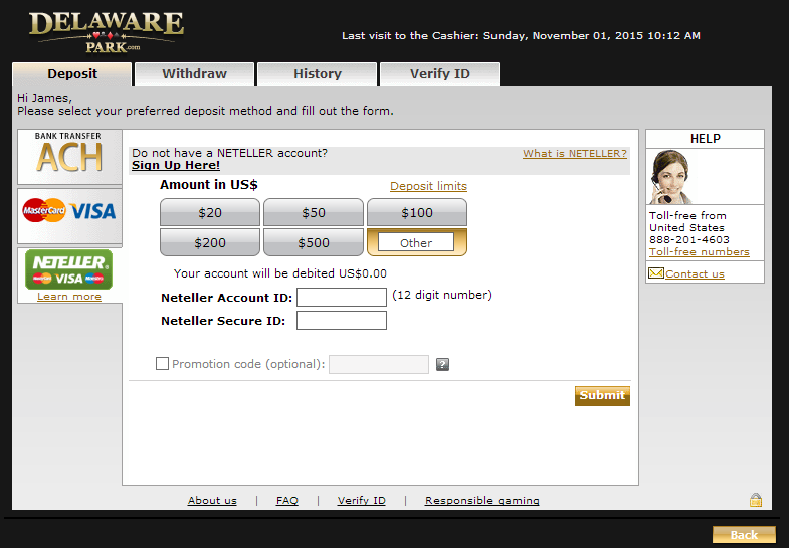 NETELLER deposits are an instant, secure and easy way to fund your DelawarePark.com account, directly from your NETELLER Account. In the US behind every Neteller account there is a physical branded Discover card: Net+ Prepaid Card which the user will receive. 6. Click on your preferred payment method and follow the on-screen instructions (or click Learn How or Learn More for step-by-step instructions on depositing by this payment method). DelawarePark.com utilizes the most advanced security and encryption technologies available to ensure that your transaction and all of your financial information are completely secure.